We can hardly believe this weekend marks our one year anniversary here at Small Fry! Are you guys ready for a party? We’ve got one in store for the next week! 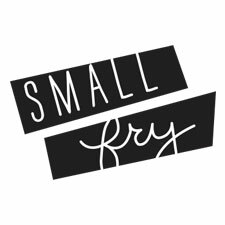 We had Small Fry as a goal for a month or so before we launched, and didn’t tell a soul. Each of us spent hours toiling over every last detail, details that you’ll see on our very first post, to our very last, every feature, every button, every element, concept, and idea was crafted with care. It was this same time of night (or early morning) that we hit “send” and surprised our friends and family with an email introducing our little baby blog. What a year it has been! We’ve made so many wonderful friendships, been touched by so many stories, and most importantly, and our very first priority, had an absolute blast with our six boys. All next week we’ll be celebrating this milestone, and we hope you’ll join us! Small Fry is just pictures and words on a page without you here with us after all, so thank you from the bottom of our hearts. Here’s to a hundred more! Chelsey Searle for these beautiful photos that we will cherish forever. She is an absolute dream to work with, and her works is gorgeous. Now is the time to book for Christmas card pictures, and she will knock it out of the park. Contact her here. Thank you to Land of Nod for this AMAZING “Toot Suite” party kit. All of this party decor came in one awesome package which makes party throwing an absolute breeze. See all four party kits at Land of Nod, they even have a Halloween theme! To Sweet Tooth Fairy, the best local bakery for the perfect birthday cake cupcakes! Their Funfetti center matched our polka dot theme perfectly. Have a wonderful FRYday, we’ll see you back here Monday! Ruffled Sleeve Blouse : eBay / Asos has a few great ones here, here and here. Bow hair from this tutorial. congrats! we love small fry!!!!!! Congrats ladies! As someone who just started blogging myself after years of tucking away thoughts and ideas, I am so excited for you and your milestone! It’s inspiring to see what great things you’ve done in a year! Congrats SmallFry! I am so glad I learned of your blog this year! Can’t wait to see what else you have in store this year!! Buncha babes right there! Congrats on one year – I hit mine next month wooooo! I can’t believe it either! Happy Birthday! Happiest BLOG BIRTHDAY to one of my all time favorite blogs!! You three inspire me everyday. Thank you! It’s a while after the fact, but I’m so happy for you ladies! You’ve done such incredible things with this little space and are a huge inspiration to so many fabulous moms. Wish we could have gotten to know each other better before we left the Beehive State. Congrats!